I’ve always associated sprayers with lawn care. In particular, with those overpriced lawn maintenance companies that charge an exorbitant monthly fee for spraying a bit of nitrogen feed. Usually when nobody’s at home to avoid being caught out! Garden sprayers are essential for applying fertilizer and herbicide. It doesn’t matter (for the most part) whether you have a large or a small garden. You probably need one. In this guide, I’m going to take a look at some of the most popular products on the market and pick my favourites. Let’s dive in. Click here to jump to our in-depth reviews of the best garden sprayers. What is a garden sprayer? A garden sprayer is simply a pressure-operated device used to apply water-based solutions to areas of a garden. A pump is used to create pressure in a reservoir tank, allowing fluid to be released through a wand or nozzle. The bigger units tend to have straps (and often waist support) for carrying on your back. It’s also possible to get electric models which obviously overcome the need for manual pumping. Personally, I’m not a huge fan of these. They require more maintenance and preparation (with charging) and there’s always the potential for extra problems when you add another layer of technology. 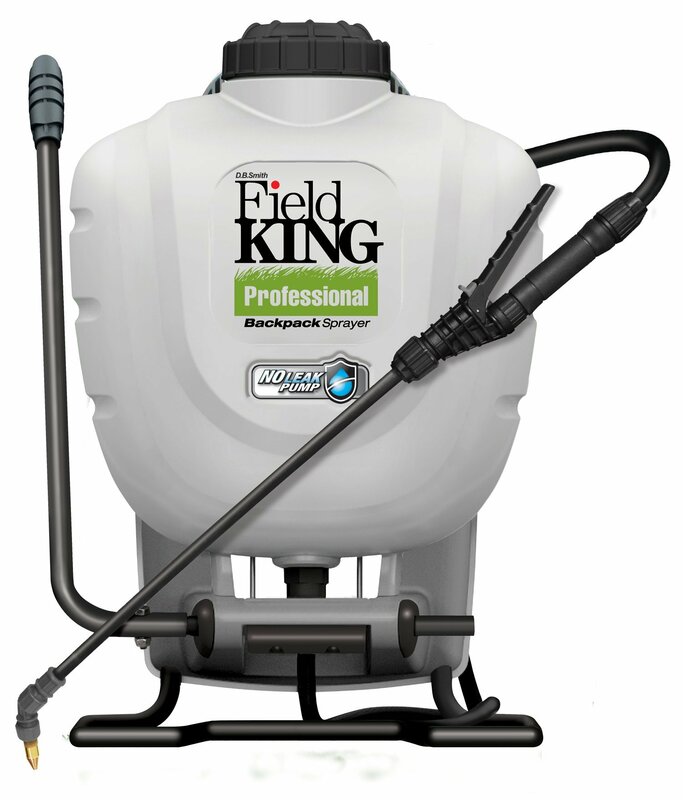 Generally speaking, sprayers are used with either fertilizer (usually on lawns), weedkiller or insecticide. It’s probably also worth distinguishing between garden sprayers and paint sprayers. Though the difference is likely obvious to many, I’ve known people attempt to varnish decking, or paint a fence, with sprayers never intended for the purpose. A paint sprayer is a different tool entirely, powered electrically and with a much more robust hose. The nozzles and achievable pressure levels of garden sprayers are not able to deal with viscous liquids. Size – Don’t just go for the biggest size you can find with a view to using it for everything. You will need different sprayers for different liquids. Mixing water-soluble fertilizer in a sprayer that you also use for weed killer is a recipe for disaster in the long run. Label each sprayer separately to avoid mix ups. In terms of gallon capacity, most commercially available sprayers will sit on a spectrum between 1 to 4 gallons. Use the principle of 1 gallon per 1000 sq ft as a loose principle. Simple design – With sprayers, the simpler the design the better (usually). Having lots of little parts can be a nightmare when it comes to repairs and complex units tend to break more often. Filter – Make sure that your sprayer has a filter to prevent debris from getting stuck in the wand or nozzle. 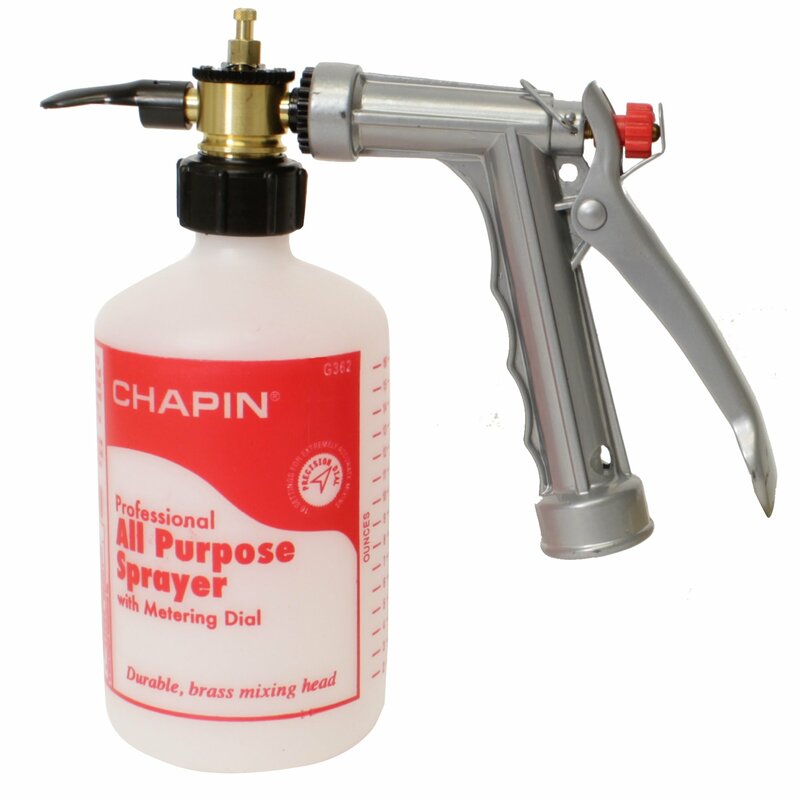 This 4-gallon sprayer is absolutely top-notch and comes with a range of features that stand it above the competition. The polythene tank is thick with a sturdy pressure mechanism and all the finishes are of a high quality. Viton seals are used at the joints whilst tight locking and screwing mechanisms ensure that there’s no dripping or leakage. It also has a “backpack” design with straps and lumbar support. It can reach a pressure of 150 psi and the pump itself is built with two agitator paddles, activated whenever the pump is used, that help keep fluid mixed. The other great thing about this is that it utilizes the absolute minimum of parts required, making it less prone to breakage and limiting the need to replace finicky plastic bits. It comes with four nozzles (the main one is adjustable and made from brass). If you’re after a high-end model, for use over a larger area and that’s built to last then I can’t recommend the Field King enough. I haven’t covered all of the features here (there are lots more) so have a skim over the product page if you’re interested. Ten out of ten! 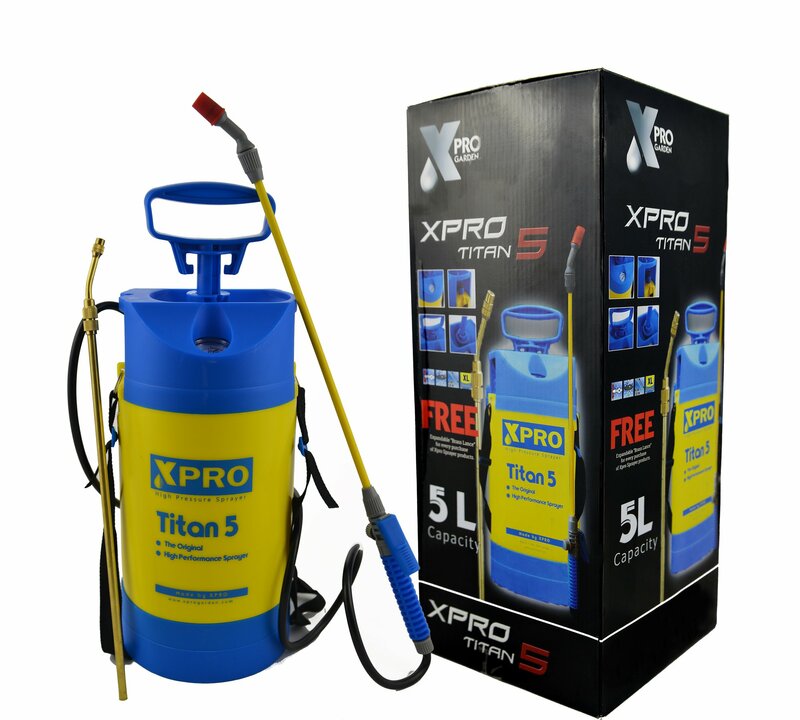 If you don’t need the capacity of a 4 gallon sprayer, and similarly don’t want to skimp on quality, then this unit from Xpro is ideal. All of the parts, including the tank, base and head, are made with thick, durable plastic. A pressure gauge is also included at the bottom (it can achieve around 50 psi) to prevent over-pumping. As expected, it features carrying straps. It also comes with two wands – one made from plastic and another from brass. It has an ideal capacity for most medium to large sized gardens and is a good all-around model. It carries a full money-back guarantee. 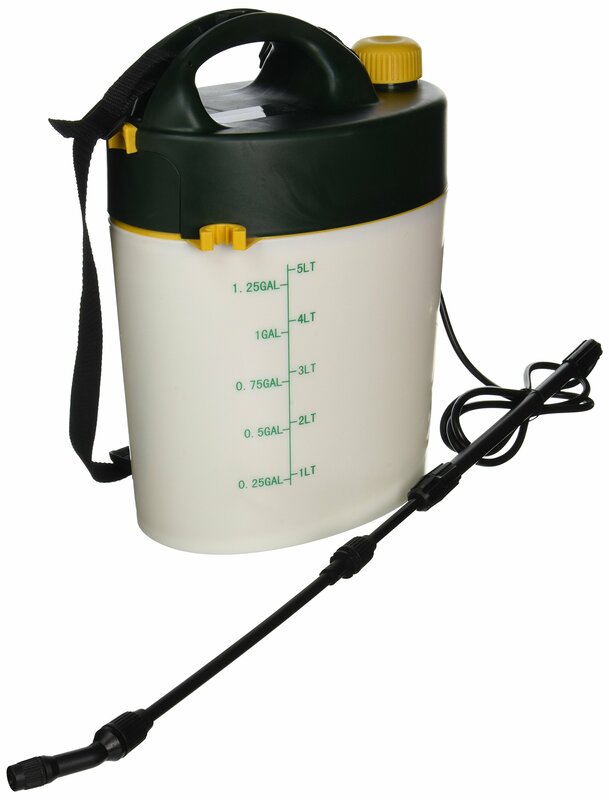 Hose end sprayers are an interesting alternative to traditional “backpack” sprayers. Rather than using a tank, water passes through a spray gun with an affixed can of concentrate. There are usually a number of different mixing ratios to allow for varying dilutions of solution – this on one offers 16 different options, eight settings in table and teaspoon measurements each. The obvious benefit is that it can handle much more solution in one application (this will spray up to 100 gallons depending on the concentrate used). All of the fittings and features are of a good quality. The gauge is made from brass and also includes a filter to collect debris. There is a spray “deflector” which can channel the stream to a height of 28 feet (if you need to reach trees). 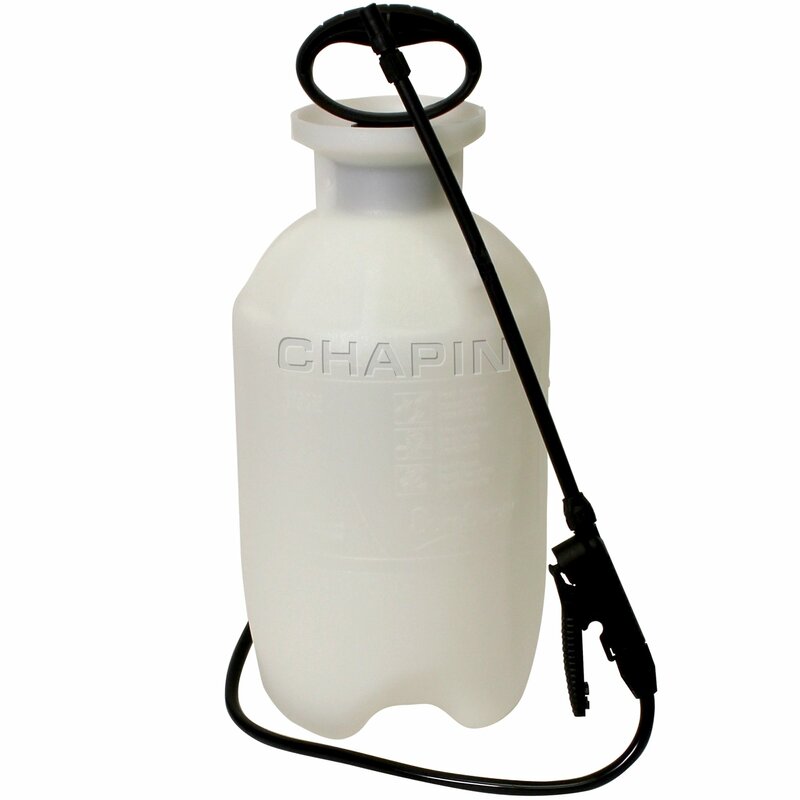 If you’re looking for a budget model, then this garden sprayer from Chapin is a great candidate. You’ll have to forgo some of the trimmings – it doesn’t come with a strap, for instance, and the plastic of the tank is thinner than other models, meaning that it won’t be possible to achieve higher levels of pressure (comparatively). All of that said, you do get a lot for your money. It has a filter at the base of the suction tube (which is better for preventing clogging when compared to filters included at the hose attachment) and comes with a 12 in. wand with an adjustable nozzle. I know that I’ve said I’m not the biggest fan of electrical sprayers, but if you are keen to give one a go then this Hudson model is a good way to start. 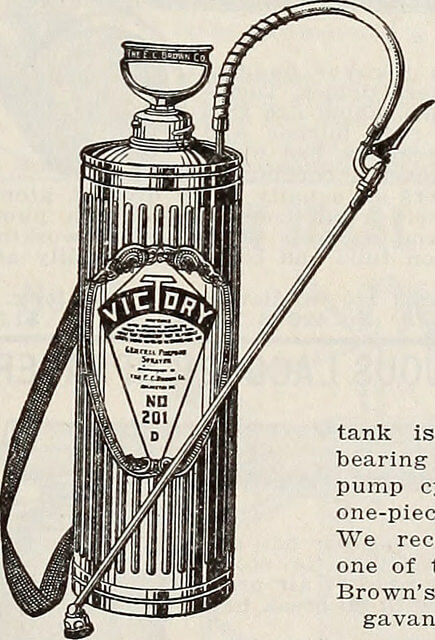 Constant pumping can be annoying and the batteries are easily replaced or recharged. The wand is also telescopic (it can extend from 16 in. to 35 in.). The batteries are not included – it requires 4 “D” batteries – so make sure to buy them. The tank is removable, a feature that can come in useful when pouring from bottles with oversized cap sizes. It comes with a shoulder strap. What are your thoughts? Have you tried any of the products on this list? Do you have any of your own recommendations? Leave a comment below and let me know! Image credit: Spraying Weeds by David Carr. No worries at all Julia. Thanks for stopping by!